5 Health Tips from the Animal Kingdom. In my continued efforts to better understand my own body and behavior, I often turn to the animal kingdom. I look for insight into our human drives, instincts, and habits, and then can better understand what the animal in me is supposed to be doing rather than what I have been told to do or have learned to do from other humans. 1. 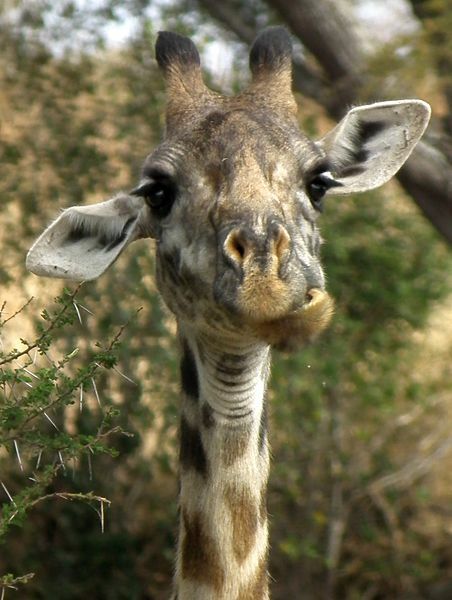 Giraffes don’t count calories and neither should we. The whole concept of calorie counting will hopefully disappear soon. While I think it is very important to know what foods are calorie dense so that we can eat them in moderation, more and more studies are coming out showing just how ineffective, incorrect and stressful calorie counting can be as a long-term strategy. Do we want to live our lives by putting so much effort into calculating every bite? When we eat real food, found in nature, we can stop worrying about measurements and still manage our weight, all while still enjoying life. 2. Koalas area always caught up on sleep. Of course we can’t (and don’t want to) sleep most of the day like koala bears who sleep more than they are awake, but my point is that we need sleep to function. Most of us need around seven or eight hours but rarely get it. Lack of sleep will show up in some area of your life, and it’s taking something away from you. 3. Lions do interval training. Have you ever seen an animal in nature going out for a jog? Nope? Didn’t think so. Animals run really fast or rest. If there is food, they run to it. If there is a danger, they run from it. Finding shelter or attracting a mate might get some activity too. This is a clue to me that our bodies were designed for interval training! Walking with short bursts of speed. A spin class. Dancing. Just add bursts of intensity to any activity and follow it up with a period of rest and you are doing what nature intended. 4. Gorillas love to eat in groups. Gorillas hang with other gorillas, and together they eat, drink and nap. Social connections are critical for our health. When life gets busy with work, children, and an endless to-do list, sometimes friend time is the first thing to go. Reconnect with your gorilla gang and make sure you have something on the calendar to look forward to together. It’s good for your health. 5. Cheetahs don’t eat and run at the same time. You may not eat while you are literally running. That’s hard to do, but you are probably eating while doing other stressful tasks. Are you eating in the car? Are you eating while doing work or in front of the TV? Are you eating so fast that you can barely taste your food? Sadly, when we’re eating while doing almost anything else, our bodies are in stress mode, just as if we were in danger. We need to slow down and rest so we can properly digest. Instead of eating at our desks or on the fly, we achieve much better results if we take a real break and actually taste and enjoy our food. if they are your tenants shouldn't there be some regulations of how many pet they can have in the home? Rabbit rescues take in rabbits and find homes for them they do not keep every rabbit. Calling animal control is your best option and is best for the poor bunnies. Call Animal Control ! I'm not sure about the rules of a bunny rescue but they living arrangement is very bad. Rabbits need a clean environment if they are stepping on there droppings all the time they will most likely get an infection. 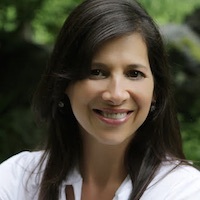 Lisa Lewtan is a Healthy Living Strategist, the founder of Healthy, Happy, and Hip, and the author of the forthcoming book Busy, Stressed & Food Obsessed! Using the skills she developed as a successful technology entrepreneur, Lisa self-hacked her own mind and body to restore her health and then go on to feel better than ever. Lisa offers private coaching, workshops, online courses, and women’s retreats to help women slow down, chill-out, develop a better relationship with food, look good, and feel great. Her articles have been featured in numerous publications including The Huffington Post, Better after 50, and MindBodyGreen.